As part of the UAE Vision 2021, the introduction of taxation has brought diversity to the country’s economic revenue streams, and also encouraged greater transparency for businesses, says an industry expert. It has been ten months since the introduction of value-added taxes in the UAE, and the tax returns deadlines have come and gone. 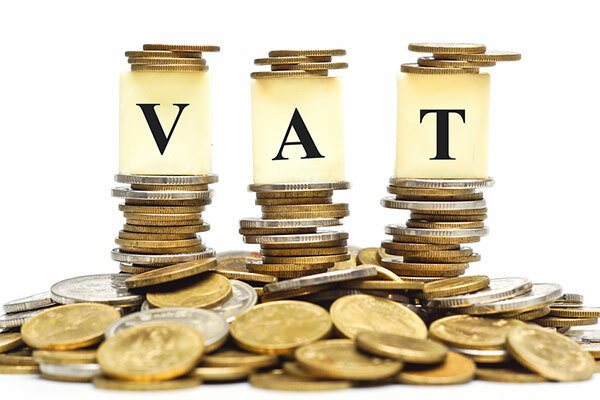 As part of my job, I regularly meet with start-ups, small and medium businesses and enterprises, and it is surprising to learn that there is still significant uncertainty about VAT, and how to manage it as a business owner. VAT is not a new concept. In fact, there are more countries with VAT right now than without. As part of the UAE Vision 2021, the introduction of taxation has brought diversity to the country’s economic revenue streams, and also encouraged greater transparency for businesses. The new VAT regime has the biggest impact on a business’ accounting and reporting processes. The stringent reporting and record-keeping requirements, as set by the UAE Federal Tax Authority (FTA), suggests that proper accounting processes are needed for compliance. These VAT-compliant accounting systems do not have to be costly. There are affordable cloud-based software as a service (SaaS) products available to support small businesses. The software can also help businesses easily manage their VAT returns, reporting, adjustments, payments and refunds. Companies also need to realise that VAT is not an added expense on them - they are merely the collection agents on behalf of the government. The income is then reinvested back into the country. The estimated contribution from VAT to the UAE is expected to be Dh12 billion in the first year alone. Implementation of the VAT compliant systems will help increase business efficiency. Some common mistakes that business owners are guilty of are around not issuing VAT complaint invoices. Under the VAT law, the invoice must have the words “tax invoice” clearly stated, be in UAE Dirham or converted to UAE Dirhams, and be issued within 14 days of the date of supply of goods or services. It must include the name, address and tax registration number of the supplier, include the date of issue, include a description of goods or services, include the total amount payable and the total VAT chargeable in addition to other conditions that an invoice or a credit note must comply with as per Federal Decree-Law No. (8) of 2017 and relevant Executive Regulations. Issuing non-complaint invoices are subjecting these business to penalties. Another unnecessary extra cost businesses are attracting is by paying for VAT via credit cards. It attracts a 3-5 percent processing fee, on top of the 5 percent that is VAT. The total tax paid becomes much higher. Business owners should register for either e-dirham or the recently introduced GIBAN by FTA, both of which can be found on the FTA’s website. Ultimately, doing business in a VAT-regime requires a change of mindset. Business owners should look at VAT as an opportunity to support the local economy and boost corporate transparency, and not as an administrative burden. At a rudimentary level, it’s worth keeping an implementation strategy and following all the necessary steps to successfully submit regular VAT returns. A set framework with the right VAT Compliant systems will ensure you’re fulfilling your tax obligations and will help your business run as smoothly as possible. Mansoor Sarwar is technical director at Sage Middle East, a leading IT solutions company.